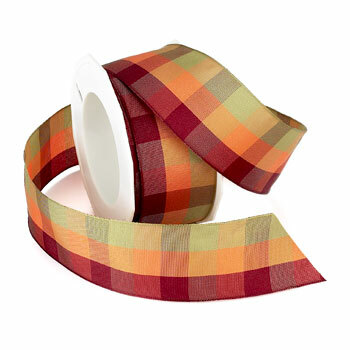 Autumn is a wired check pattern. This style holds a magnificent bow. It is a wonderful addition to any fall or Christmas crafting project. Autumn is offered in 3 fabulous color combinations in 1-1/2 in wide.